Organisation: A area of 30x20, with pitch split in half so you have a 2 attackers v 1 defender situation in each 15x20. Keeper to role the ball to his defender who is to get the ball to his attackers, who aim to score as many goals as they can. 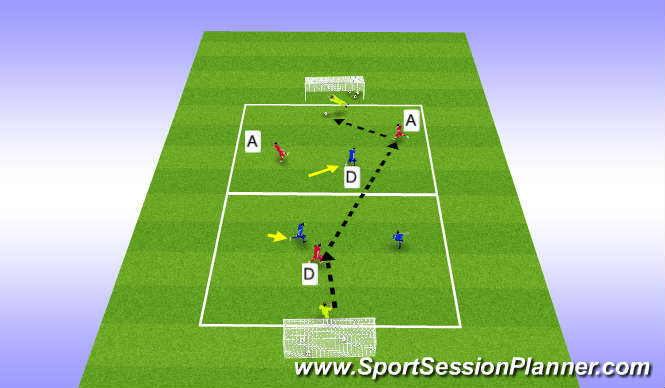 if they score, same keeper plays the next ball in, if they miss, opposing keeper to play to his defenders, players cannot go into other half of pitch, keep plenty of balls in goals to keep game at a high tempo.